So they’ve decided to push the delay button on the summit. They’ll probably resurrect it at a later date and narrate that Trump was just playing hardball with Kim to stop his pre-summit hijinks. It’s too bad. I had something special planned for June 11. If they did the attack on the day of the peace treaty signing, they could “kill” the presidents of North Korea, South Korea, China, and the US all in one day. This would supposedly benefit the “deep states” of all four nations, and it would take Xi and Trump temporarily off the stage in accordance with the prophecy fulfillment script. “But China could be sidelined. The joint declaration issued on April 27, after Moon and Kim held their summit, refers to a three-party framework that includes the U.S. and the two Koreas, before mentioning an additional four-party framework that also involves China. Should Xi attend the Summit, the odds of a false-flag nuclear strike during the proceedings increase dramatically. Blame for the attack might initially be pinned on the North Korean hardliners, but I suspect the script will later identify Israel as the perpetrator. This would help bring the Chinese into the planned “Battle of Armageddon” with full force. As for Netanyahu’s supposed motive in ordering the attack, it would be to turn China’s military attention towards North Korea and away from Syria, where Chinese forces are fighting alongside Assad’s forces. And his real motive: to do his assigned part in the globalist prophecy fulfillment script, just like the Chinese will be doing. I’ll write in detail on this subject as we approach June 12. The man arrested for plotting the assassination is Muslim. Now just imagine what would happen if Modi were assassinated in the coming weeks/months by a Muslim with ties to Pakistan. India and Pakistan would go to the precipice of nuclear war immediately, wouldn’t they? 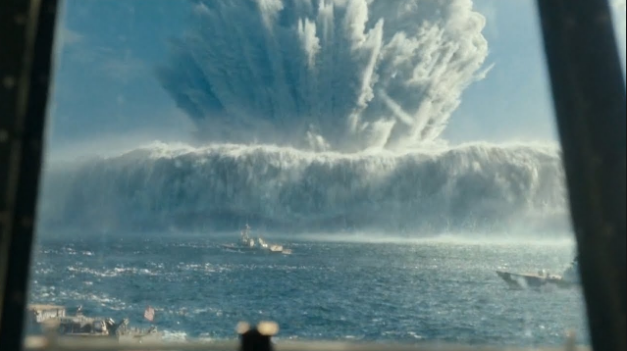 And that would fit right in with the whole “End Times” motif. 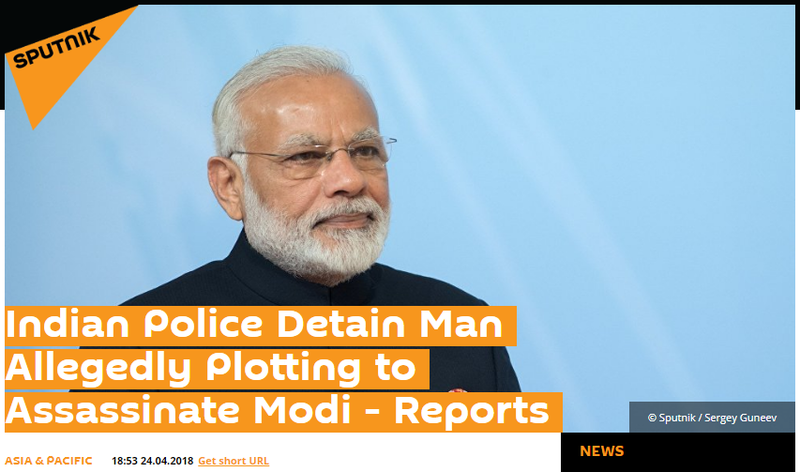 So that is the globalist play in India: Narendra Modi will be assassinated by a Muslim with ties to Pakistan. 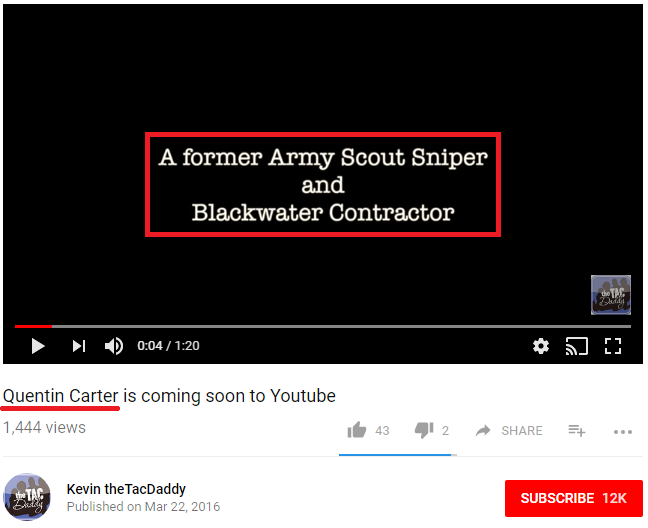 Within the controlled alt-media, there is a globalist disinformation front known as “the Saker” that has been tasked with presenting a political narrative for Putin’s coming assassination. This narrative, which pits “Medvedev’s Atlantic Integrationists” against “Putin’s Eurasian Sovereignists,” is a fiction that is meant to obscure the real driving force behind the fake assassination: the globalist prophecy fulfillment script. Of course, the real reason Medvedev was renominated is because the Saker’s narrative is utter bullsh*t and Medvedev is scripted to play the Judas character to Putin’s Christ character. The globalists need to keep Judas close to Jesus so he can betray him at the proper time, so Putin was instructed to keep him in place. Both Medvedev and Putin are actors in a play, and they both know their roles. But “Avatar” Modi’s “Judas” is less clear due to my sketchy knowledge of Indian politics. The first person I’d examine for this role is Indian President Ram Nath Kovind. Once the Prime Minister is dead and his council of ministers is automatically dissolved, Kovind has the power to declare a national emergency and go to war. He also has the power to appoint a caretaker prime minister. 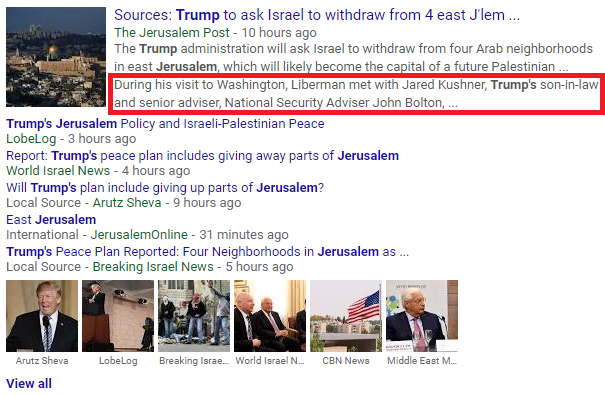 As I mentioned in previous updates, the globalist script called for the “Deep State” to assassinate Trump in Jerusalem before the heavy China tariffs could kick in and before he could announce his “peace plan,” which calls for major sacrifices from the Israelis (the plan was supposed to be unveiled right after the embassy opening). News has come out today that Trump will be announcing his decision on the Iran deal tomorrow (look at the numbers of the date and time of the tweet). The decision is coming 4 days sooner than expected. It’s also been announced that he WON’T be attending the Jerusalem embassy opening. So now we watch for false-flag activity on May 11 and assassination activity at the US-North Korea Summit. 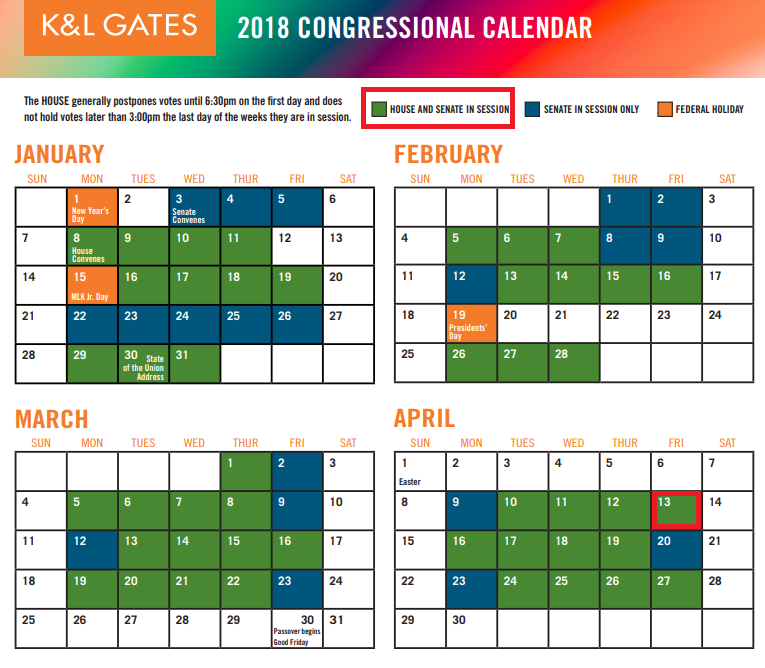 So as a consequence of the delayed assassination show, the globalists have been forced to cancel the trade war and delay the unveiling of the peace plan till mid-to-late June. Why is this significant? Because the Trump-Kim Summit is scheduled for June 12, before the peace plan is unveiled. And this provides a scripted motivation for the “Deep State” to assassinate Trump and/or Kim in Singapore. I’ll write more on this as we approach June 12. And you can read more about the Singapore assassination setup by scrolling down to the 6 May update. Since Erdogan has been cast to play the Dajjal (the Muslim Anti-Christ figure) in the first phase of the globalist prophecy fulfillment script, he will be the one to lead the coming invasion of Israel. Tomorrow’s extraordinary summit is another step in that direction. And it is Erdogan’s move against Israel that will put him at odds with Putin, who is scripted to play the Jewish Messiah. This is what will start the war between Turkey and Russia that was “prophesied” by the Greeks. 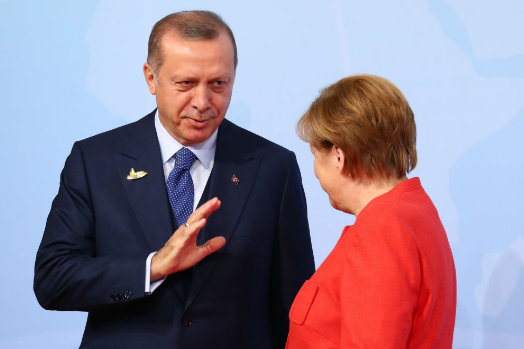 On the European front, the globalists have installed another trigger for Erdogan’s “migrant invasion of Christendom.” The Turkish presidential election that will give him new powers is scheduled for June 24. And the next EU summit to deal with the migrant problem is scheduled for June 28-29. This close timing is no mere coincidence. 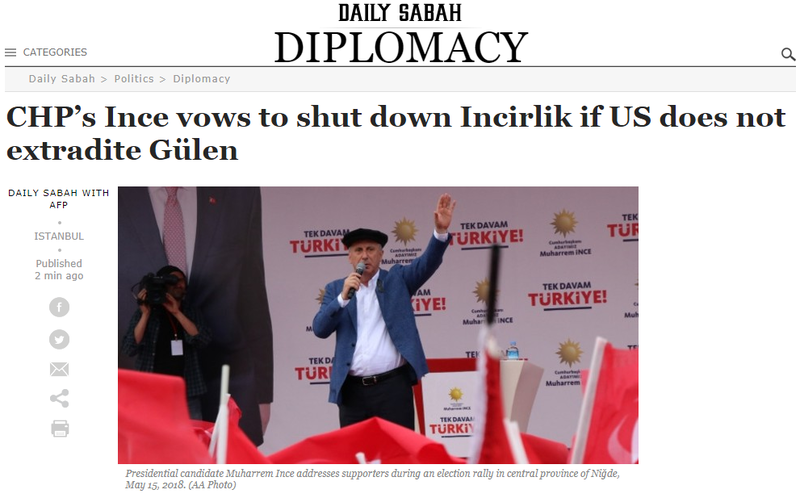 The globalist script will have Erdogan either win the election with clear signs of improprieties or be forced into a second round election with his power in jeopardy. So less than a week after the first round of the election, they’ll have him pick a fight with Europe to either distract the Turkish people from the voting improprieties or create an emergency that will forestall the second round of the election. And it is the resulting surge in migration across the Turkey-Greece border that will start the Turkish war with Greece. According to the Greek prophecy this is meant to fulfill, Greece and Russia will defeat Turkey and Erdogan, thus thrusting the humbled Turks into the orbit of Iran and Soleimani. Trump might be assassinated by the “Deep State” and Incirlik Air Base & its American nukes might be seized by Erdogan right at the beginning of the war. The captive US servicemen and nukes would give the “Crypto-Satanist” Pence an excuse to negotiate instead of attack, thus putting the US on the sidelines. Erdogan might release 3 million refugees on Europe. That would leave NATO occupied with internal security and on the sidelines. Russia’s Medvedev and his “Atlantic Integrationists” might assassinate Putin. This would be done in the early days of the war in an attempt to stop Russia from achieving victory. 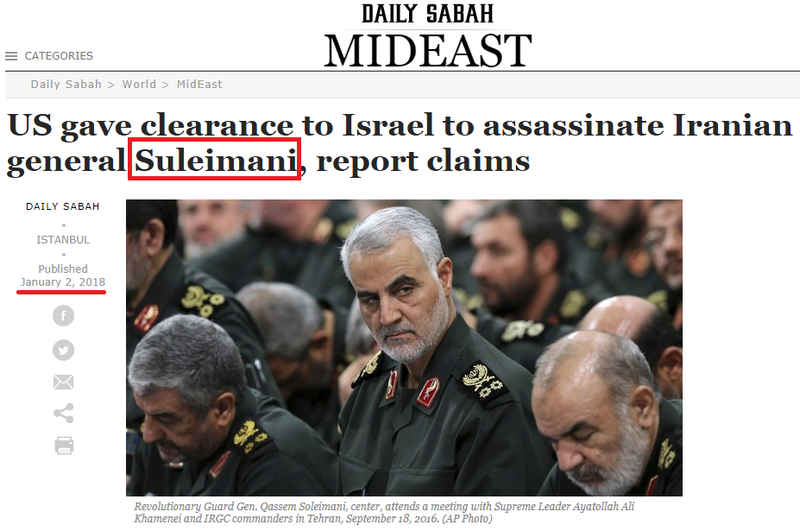 Israel may be weakened by the onslaught of Iranian missiles unleashed after they assassinate Qasem Soleimani. >>> “Turkey will be dissected. This will be to our benefit as a nation. This way our villages will be liberated, our enslaved homelands. Constantinople [Istanbul] will be liberated, will become Greek again. Hagia Sophia will open again,” the text reads. The Justice and Development Party is Erdogan’s party, and their party colors are orange and BLUE. 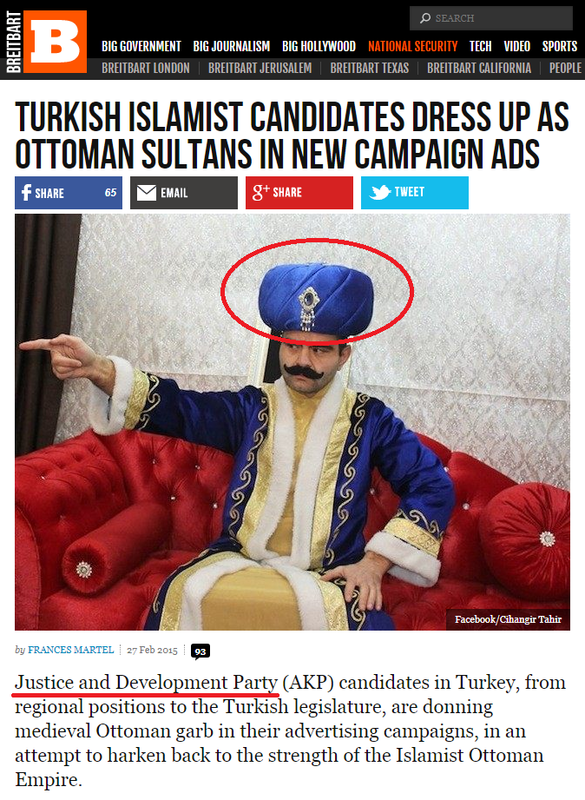 So it will be no surprise if Erdogan invites himself to the June 28-29 EU summit and shows up in Ottoman garb – or at least the blue turban – to indicate that he has “restored the power of the Ottoman Empire” and become its sultan and caliph. As sections 1 and 2 suggest, the OIC will first ask the UN Security Council to provide the “international protection force,” but the US will unilaterally veto the initiative. This will provide the NWO propagandists with yet another example of how “the unilateral veto powers of the P5 nations lead to war by preventing the UN from effectively addressing conflicts.” The NWO planners want these unilateral vetoes eliminated to ensure that no nation can protect itself from the UN mob. Once the OIC force is inside Gaza, Hamas will be emboldened to resume mass-scale demonstrations along the Israeli border fence, and Israel will respond as they did on May 14th. 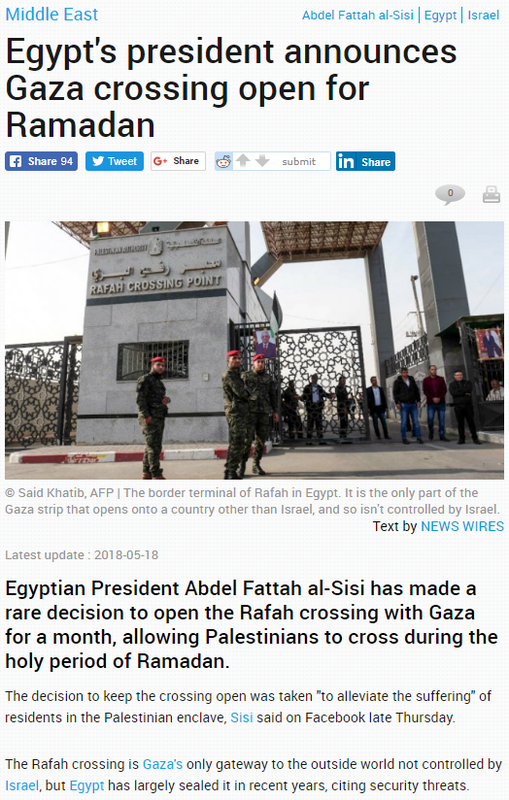 This will lead to a confrontation between the OIC force and the IDF, and the IDF will invade Gaza and crush Erdogan’s force, sealing off Egypt’s crossing point to Gaza in the process. 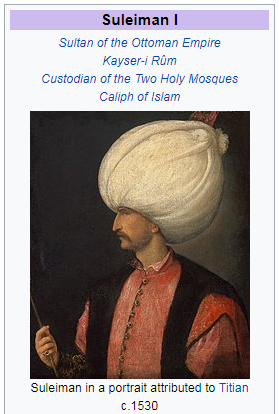 According to the script, Erdogan is counting on this. Since the Jordanian border is the only way for the OIC force to enter the West Bank, they made a point of promising the King of Jordan custodianship of Jerusalem in point 4 of the communique. This will give him motivation to allow the invasion. The buildup to Middle East war is NOT about the Zionist scapegoats; it’s about the Kabbalists and the Lubavitchers. 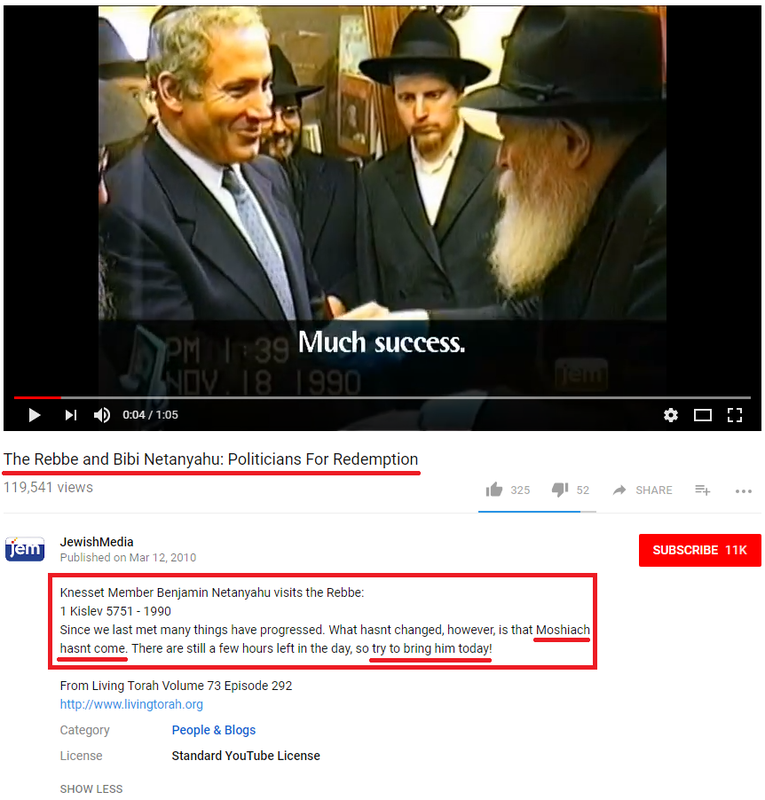 Israeli Prime Minister Netanyahu, Israeli Defense Minister Lieberman, US Ambassador to Israel Friedman, US President Trump, Russian President Putin – ALL OF THEM are connected to the Kabbalist Chabad-Lubavitch End-Times cult, and this is the basic outline of the cult’s plan from its own website. As you read it, realize that Trump has been cast as the Moshiach ben Yosef, Putin as the Moshiach ben David, and the Lubavitcher Rebbe as Elijah. As for the Middle East situation, the press are reporting 52 dead and 1,200+ injured in the Gaza protest so far. With this “massacre” in hand, let’s see what the Lubavitchers do with it. 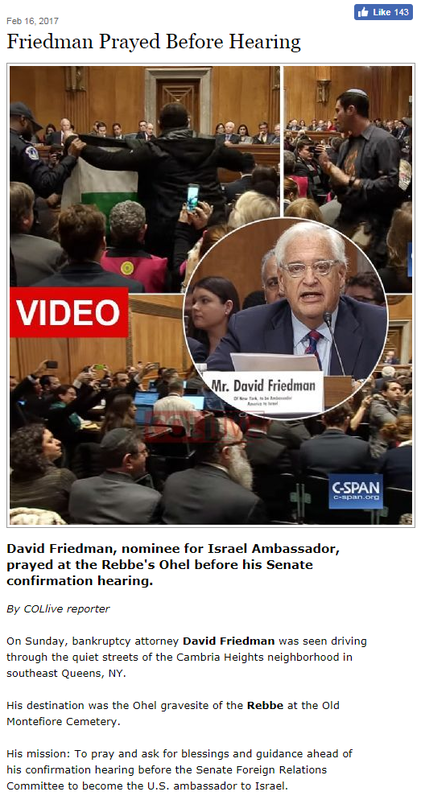 (NOTE – 13 May 2018) – In today’s addendum, I’ll show you how Trump’s delegation to the Jerusalem embassy opening is full of Lubavitchers and other Kabbalist agents. This is significant because the Kabbalists are the ones pushing for an “End Times” war in the Middle East. 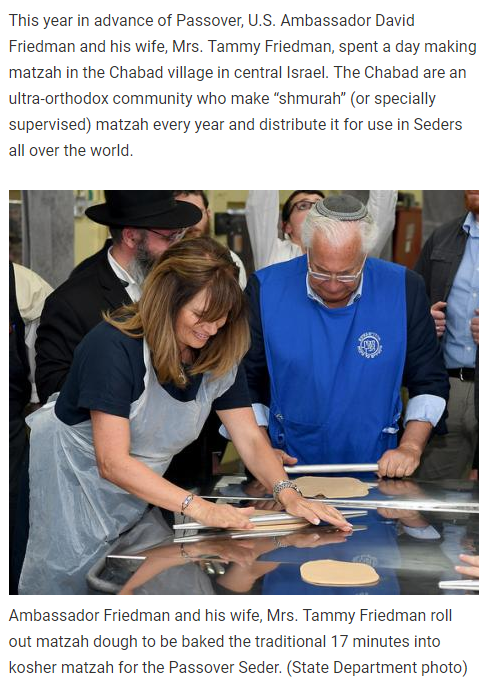 They’re doing it so they can bring in the Jewish Messiah (the Moshiach). They’ve selected Vladimir Putin to play that role. …from YouTube. Be sure to watch the video. Netanyahu then agrees, and it may be tomorrow that he finally comes through on his promise. You’ll find the information about the Jerusalem delegation a little further down, under the 10 May section. But since Trump and Putin are still alive at this point in the globalist script, expect them to force a ceasefire between the two sides after a few days to a week of fighting. Trump will supposedly convince Israel to stand down, and Putin will do the same for Iran. “Diplomacy” will then delay the resumption of the war till September. The Kuwaiti report to which it refers came out months ago, so why is a Russian propaganda site covering it just now? 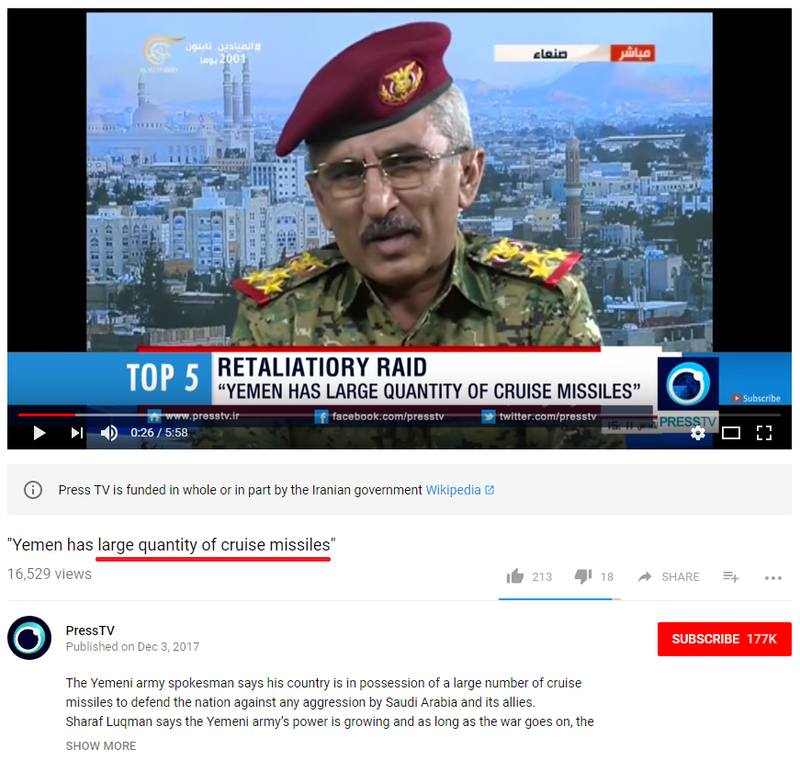 And here is news that came out yesterday to remind people that the “Iran-aligned Houthis in Yemen” have been firing missiles at their enemies: Iran-aligned Houthis in Yemen fire missiles at Saudi capital. It establishes a reason for the Houthis to fire missiles at American bases. 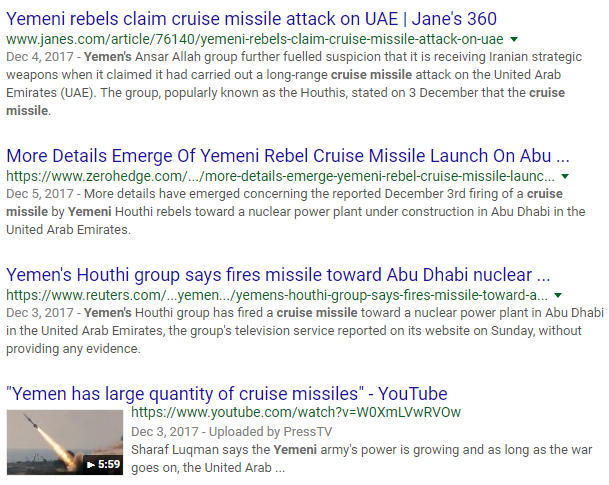 Prince Sultan Air Base in Saudi Arabia, Al Udeid Air Base in Qatar, and/or the Eskan Village Compound in Saudi Arabia may be targeted in the false-flag. It provides expert American personnel on the ground to assist the Saudis in firing off the cruise missiles that will be used in the attack. Since the Iranian Soumar cruise missile is a copy of the Soviet KH-55, the false-flag will likely utilize KH-55s that the Israelis have modified for ground launch and decorated with Iranian markings. 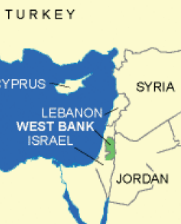 According to the article, Iran’s ability to strike Israel from Syria was largely destroyed in last night’s big air raid. So if Iran can’t launch a revenge strike from Syria, they’ll have to strike from another place. Yemen, perhaps? And note how the Israelis baited their enemy into striking first so they could “retaliate” by doing what they’ve been wanting to do. The Muslims had better remember this lesson when the Second Battle of Armageddon is fought in 2025. 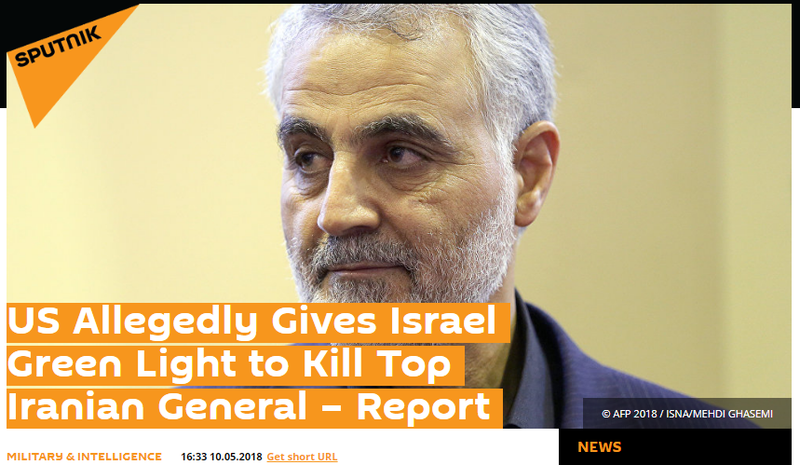 It is the globalists’ plan to have the “Imam Mahdi,” Qasem Soleimani, bait the Muslims into trying to exterminate Israel. This will set in motion the planned and comprehensive annihilation of Islam by the globalists. So expect the Americans and Saudis to launch a large salvo of missiles aimed at multiple targets in Saudi Arabia, Israel, and Qatar. The attack will likely be conducted under cover of darkness. 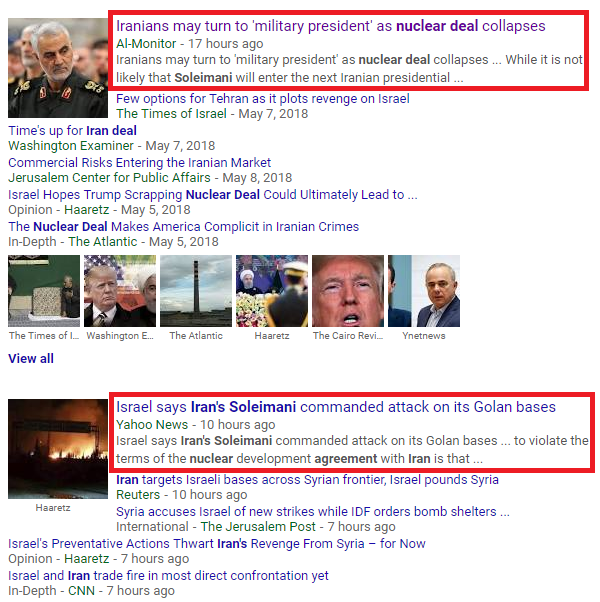 According to the globalist script, this false-flag will be Phase 2 of Israel’s pre-planned “retaliation for the Iranian rocket attack.” Phase 1 was the big air strike last night, and Phase 3 will be the assassination of Qasem Soleimani. What the globalists have planned for this weekend is now coming into focus. The plan is to have Israel do the big Syria strike, the false flag, and the Soleimani assassination by the end of the weekend, then have the Hamas leader respond by sending “hundreds of thousands” of outraged Palestinians across the Israeli border for the US embassy opening on Monday. It would be a stunning outbreak of chaos and war. Let’s hope this exposure is causing them to rethink. 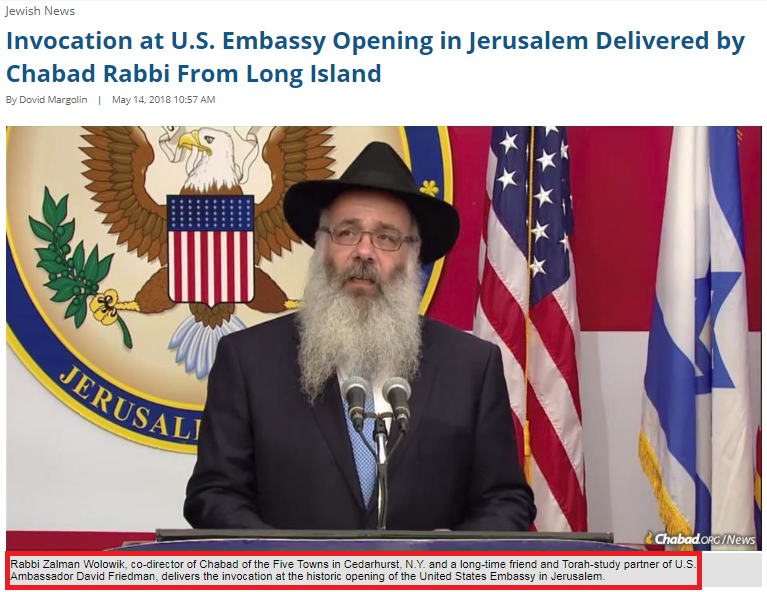 There is also something peculiar about the delegation the US is sending for the opening: it’s composed of one Catholic, one Skull and Bones Jew, and four other Jews with some degree of connection to Chabad-Lubavitch. I’ll go into detail on this over the weekend. 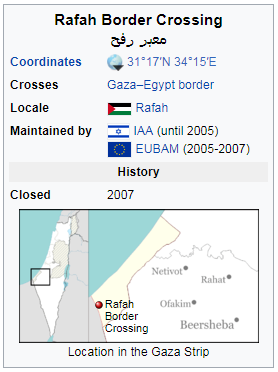 Since all the big Chabad agents will be out of Washington for the embassy opening, we need to keep an eye on the locations of Mike Pence, Rand Paul, and Elizabeth Warren. 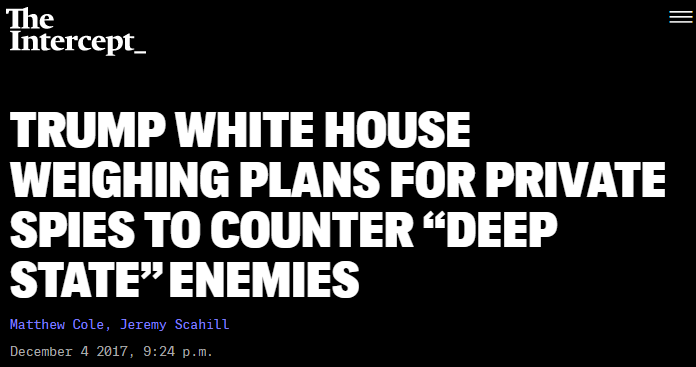 If they’re out of Washington too, something might be planned for Trump. “Deputy Secretary of State John Sullivan will lead the delegation to Jerusalem for the May 14 events. This is significant because the Catholic Church has been dominated by the Kabbalist “Jews” of the Jesuit Order since the Second Vatican Council of the early 1960s. Since then, the people the Vatican helps promote to high political positions are those who are loyal to the Kabbalist agenda. You can therefore be certain that Sullivan is a Kabbalist lackey. If you look at the high political positions in the Trump administration, you’ll see that they’re dominated by either Jews or Catholics, both of which groups are pursuing the same agenda. 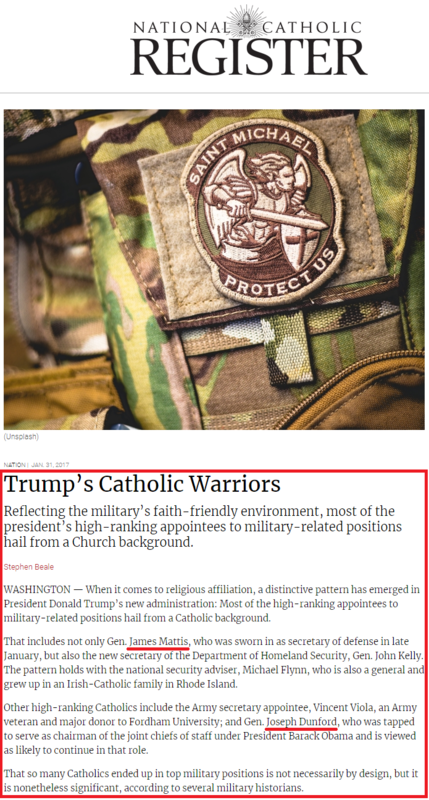 Jews typically get the positions related to money; Catholics typically get the positions related to the military. One exception to this division of labor is the new Fed Chairman, Jerome Powell, who is a Jesuit-trained Catholic given a money position. 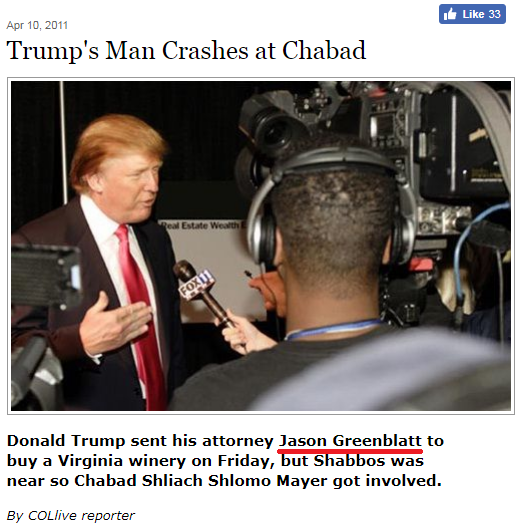 Since Trump has been tapped to play the role of the precursor Jewish messiah, the Moshiach ben Yosef, it’s only natural that one of his Chabad guys met with Putin’s Chabad rabbi. Putin’s role is that of the main messiah, the Moshiach ben David. 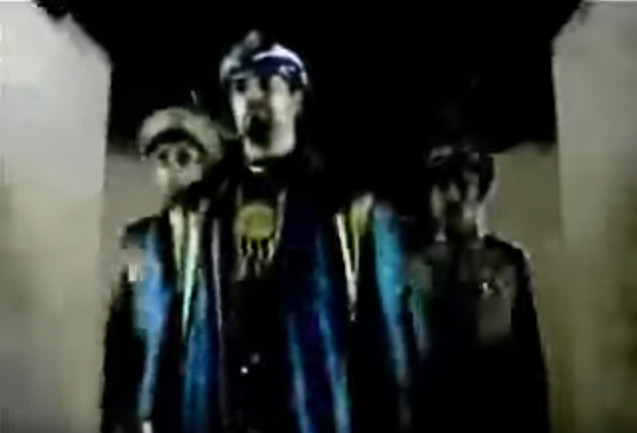 Iran’s Qasem Soleimani has been scripted to play this leader, but why would he enter Europe wearing a blue turban? (Note – 7 May 2018) – It looks like the globalists have changed their plans again. News has come out today that Trump will be announcing his decision on the Iran deal tomorrow (look at the numbers of the date and time of the tweet). The decision is coming 4 days sooner than expected. It’s also been announced that he WON’T be attending the Jerusalem embassy opening. So now we watch for false-flag activity on May 11 and assassination activity at the US-North Korea Summit. 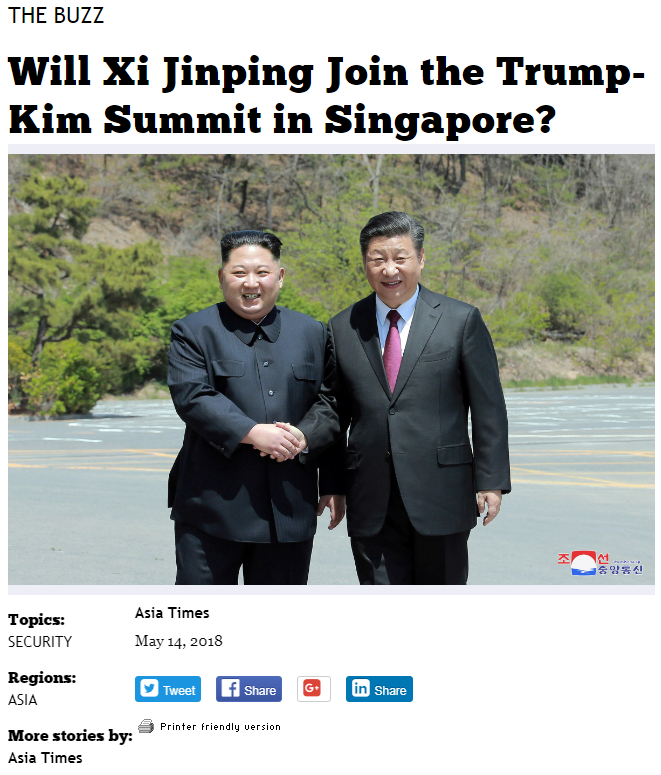 (Expanded Note – 6 May 2018) – The South China Morning Post is reporting that Trump and Kim may have chosen to meet in Singapore in the third week of June. 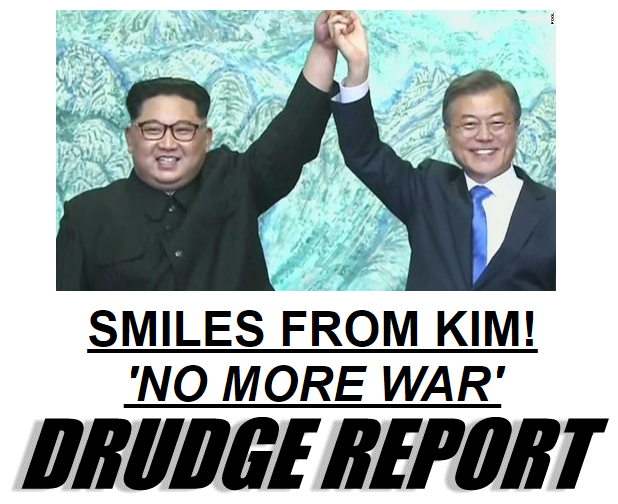 If this is accurate, they may be planning to sign the Korean War peace deal on June 25, which is the date the Korean War began. Knowing the globalists and their numerology, the summit might begin on June 22. The choice of Singapore as the summit site would provide the globalist scriptwriters with all sorts of possibilities for mischief. Singapore’s close proximity to Malaysia and Indonesia gives them the option of scripting an ISIS WMD attack. And due to Singapore’s small size and it’s being surrounded by the ocean, it also gives them the option of popping off a nuke in a “North Korean” midget submarine by the shore. Remember that this summit was arranged by the intelligence agencies, not the departments of state. And spies don’t do peace. I’ll write about this scenario in more detail if Singapore is officially announced as the summit site. This “Trump Peace Plan,” which will be unveiled AFTER the Jerusalem embassy opening, is designed to piss off both the Palestinians and the hardline Israelis. Should Trump “die” before implementing it, both sides would be quite happy. This passage implies that the US will compel Israel to accept the concessions, and it says the full plan will be announced AFTER the Jerusalem embassy opening. So up until the embassy opens, the Israelis are gaining a big benefit from Trump: US recognition of Jerusalem as Israel’s capital. But AFTER it’s opened, Trump becomes a liability. That being the case, if they can remove Trump either before the Peace Plan is formally announced or before it’s implemented, they can keep the big benefit and stop any losses. It’s a great motivation for either a Jerusalem or Panmunjom assassination this month. 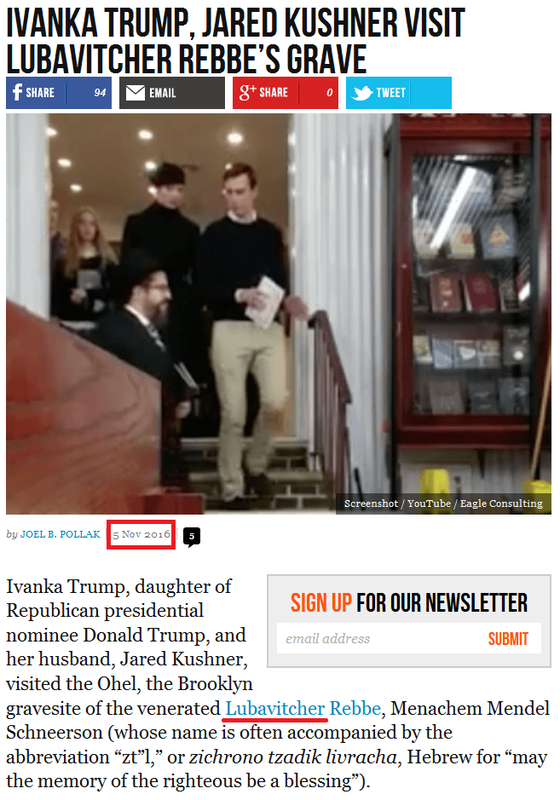 1) Jared Kushner, Trump’s son-in-law, is strongly connected to Chabad-Lubavitch “End Times” cult. 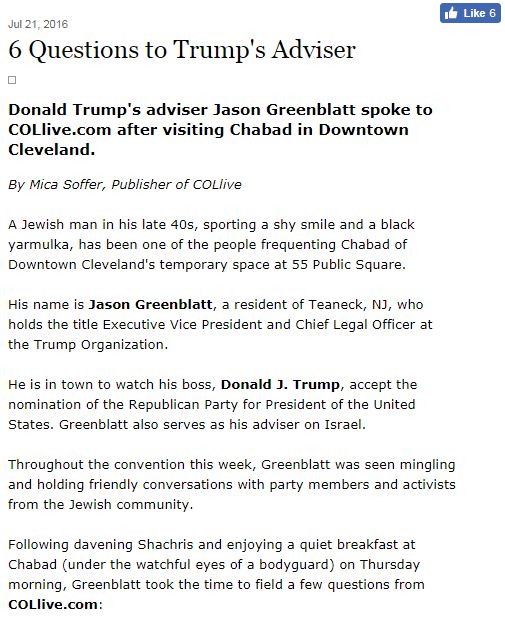 You can read about it in Trump and Putin: Agents of Chabad-Lubavitch. …from COLlive (top) and Google News / The New York Times (bottom). Note that Berel Lazar is a Chabad-Lubavitch rabbi who was assigned to prepare Putin for the role of Moshiach ben David, the Jewish Messiah. Read How the Kabbalist Jews took over the Roman Catholic Church through the Jesuit Order to see how they took over the Church (the article uses the Jesuits’ own information to make its case), and read Why the Jewish bankster elite assassinated John F. Kennedy to see the overriding reason for JFK’s removal. With the backgrounds of the meeting attendees set before us, we see that this Washington meeting was a war council. 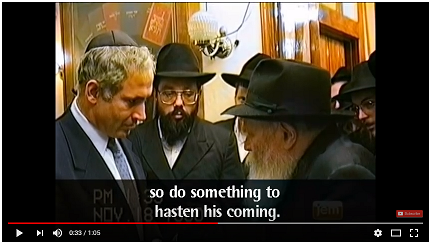 Chabad-Lubavitch has written the prophecy script for the war, and John Bolton and James Mattis will be key in orchestrating it from the American side. Trump is just a front man who is along for the ride. “Alongside the concessions expected of Israel, the administration has promised its full support in the event of a widespread conflict with Iran or Syria. The administration has told Israel it would supply the IDF with significant support, including advanced weaponry, if a war broke out with Iran, even one instigated by Israeli action against Iran’s presence in Syria. So this peace deal would give Israel a carte blanche to do anything they want in Syria, and it promises them unequivocal support if they trigger a war with Iran. Such an open license for war is something the Palestinians will never accept, so they too will want to see Trump go down. As for Israel, they don’t really need Trump’s guarantee. They’re already doing anything they want in Syria, and if they start a widespread conflict with a false-flag against the US military that gets blamed on Iran, they’ll have America’s full support anyway. So why not kill Trump and blame it on the Iranians and their anger over the cancelled nuclear deal? It would kill two birds with one stone, wouldn’t it? According to what’s been announced, a deal for both permanent peace and the denuclearization of the Korean peninsula is ready to go. All Trump has to do is show up to the US-North Korea summit and “close the deal.” And THAT’S what sets up the coming drama in Jerusalem. According to the globalist script, the “Zionist-Neocon-Neolib Deep State” has one last opportunity to stop Trump before he goes to the Korea summit and ruins their dastardly plans for Asia. That opportunity comes in mid-May when Trump goes to Jerusalem to open the new American embassy there. While he’s in Israel, he’ll be on the Zionists’ home turf and therefore vulnerable. So if they can assassinate him there and blame it on Iran, they can start the first phase of the Mideast war AND stop the Korean peace process in its tracks. And if they follow the false-flag plan I expose in the Special Note below this update, they can bring war to Korea too. Given the Iranian naval chief’s threat to sink US ships, the door is now open for an Israeli false-flag attack on a US Navy ship, with the most likely method of attack being a Russian-made Shkval-E rocket torpedo fired from an Israeli Dolphin-class submarine. The blame can then be laid on the Iranian navy and their Hoot rocket torpedo, which is a copy of the Shkval. The attack would most likely be staged after May 12, when Trump may decide to withdraw from the Iran nuclear deal. 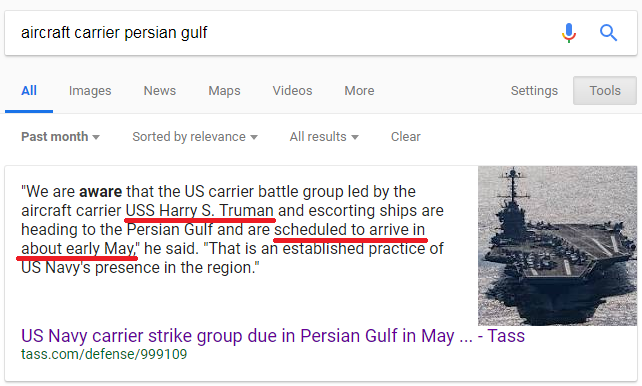 The sinking of one or more American aircraft carriers during the war is a key part of the globalist script. The event is meant to mark the end of the era of American force projection around the world. 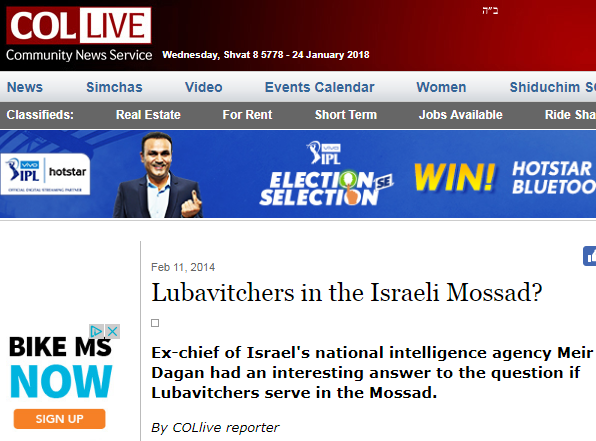 …from Israel National News. 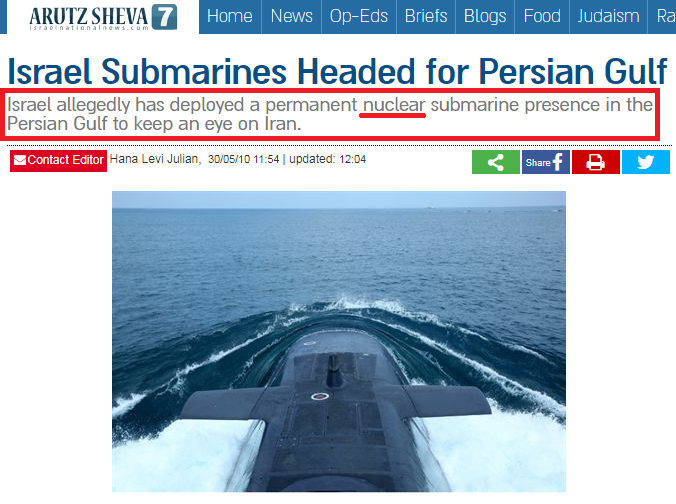 Since Israel’s submarines are diesel-powered, the words “nuclear submarine” in the title imply a submarine with nuclear warheads aboard. In light of this testimony and the fact that the Shkval torpedo is designed to be nuclear-capable, we see how the Deep State may be scripted to “kill” Trump and start a war with both Iran and North Korea at the same time (then pivot into the “Battle of Armageddon” with Israel). 1) Bring Trump to Jerusalem and “assassinate” him during an outbreak of chaos. 2) Sink the U.S.S. Harry Truman with a nuclear Shkval. 3) Have Pence point the finger at Iran for the torpedo and North Korea for its nuclear warhead, then start a war with both. 4) After the war is raging, have forensic tests from the sunken Truman show an Israeli radiation signature. At that point, EVERYONE will turn on Israel for starting the whole thing. 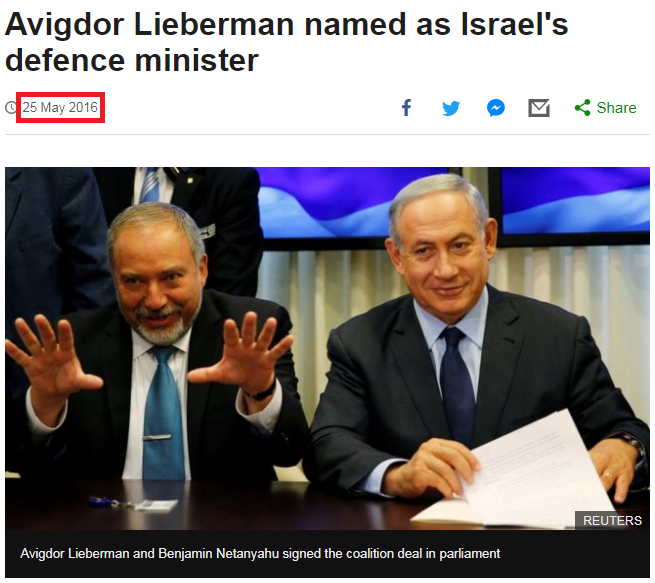 If you’ve been watching the news, you’ll know that Israel’s defense minister, Avigdor Lieberman, has been busy trying to stir up the globalists’ apocalyptic battle. 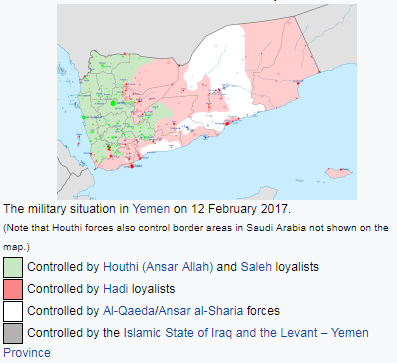 According to the globalists’ script, the “Deep States” of the US, Israel, and Saudi Arabia will stage a false-flag cruise missile strike out of Yemen that will target an American military base and Tel Aviv. This will provide Israel with the justification to strike Tehran. You can read about the details of the scenario in the 17 April Special Note (which is below). Chabad-Lubavitch is the oligarch-funded, Russian-founded Kabbalist cult that has been planning and orchestrating the coming “apocalypse” and the arrival of the “Jewish Messiah.” So having an agent at the helm of the Israeli military is quite useful if you’re coordinating the Middle East war that will cue the “Messiah’s” revelation. If you are a new reader and want to know who will be proclaimed the Jewish Messiah, read Trump and Putin: Agents of Chabad-Lubavitch (+ Trump and Putin’s Lubavitch-assigned roles). >>> Founded in 1775 by Rabbi Schneur Zalman of Liadi, the name “Chabad” is a Hebrew acronym for Chochmah, Binah, Da’at: “Wisdom, Understanding, and Knowledge”, which represent the intellectual underpinnings of the movement. The name “Lubavitch” is the Yiddish name for the originally Belorussian village Lyubavichi, now in Russia, where the movement’s leaders lived for over 100 years. In the 1930s, the sixth Rebbe of Chabad, Rabbi Yosef Yitzchak Schneersohn, moved the center of the Chabad movement from Russia to Poland. After the outbreak of World War Two, the sixth Rebbe moved the center of the movement to the United States. 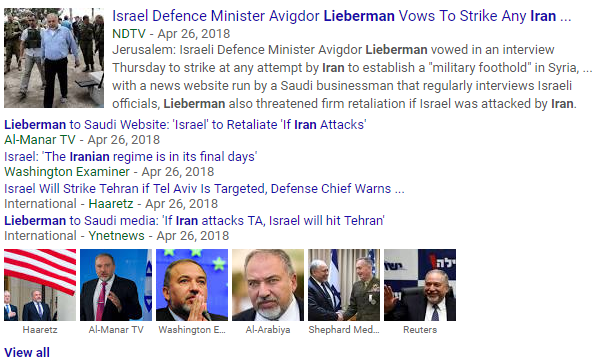 So after seeing the Zero Hedge article, I did a simple Google search for “Avigdor Lieberman” Chabad, and their connection became crystal clear. 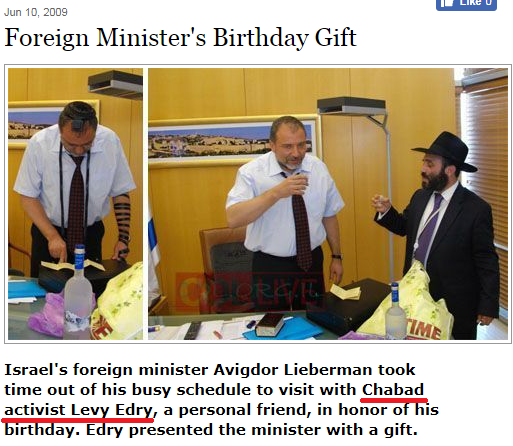 If you do some searches on your own, you’ll find that when Lieberman went to foreign countries as Israel’s Foreign Minister, he had a habit of visiting the local Chabad centers and schools. As a comparison, just imagine US Secretary of State Tillerson going out of his way to visit Jehovah’s Witnesses compounds in the countries he visits. That would be rather troubling, wouldn’t it? But Israel has more than its fair share of whacked-out religious weirdos, so I guess they have a high tolerance for strangeness. The ultimate goal of the Kabbalists is to rule over humanity through a figurehead god-king named “Jesus Christ.” And the plan calls for this “true Christ” figure to be the head of the world’s only major religion, Kabbalized Christianity. Since traditionalist Christians, Jews, Muslims, Buddhists, Hindus, etc. could be a source of dogged resistance to the new religion, the Kabbalists will be setting up a “convert or die” scenario over the coming years. In the specific case of the Jews, the Kabbalists intend to gather them all in Israel for conversion or slaughter. To achieve compliance, they’ll be releasing all kinds of damning information about Jewish political, financial, and criminal activities around the world as part of the “Truth Tsunami” (which you can read about here). This will stir massive global “anti-Semitism.” So on one hand, Jews will feel very unsafe wherever they are currently living, and on the other hand, the Jewish Messiah will be urging their return to the “safety and security” of Israel. All who go will effectively be walking into an oven. It will prevent any resistance to Kabbalized Christianity from stubborn traditionalist Jews. It will lead the world to believe that the Jews, and Jewish power, have been destroyed forever. But “Jewish power” is really “Kabbalist power,” and the elite Kabbalists will still be in control. Birds of a feather flock together, don’t they? Especially if they are Chabad vultures. 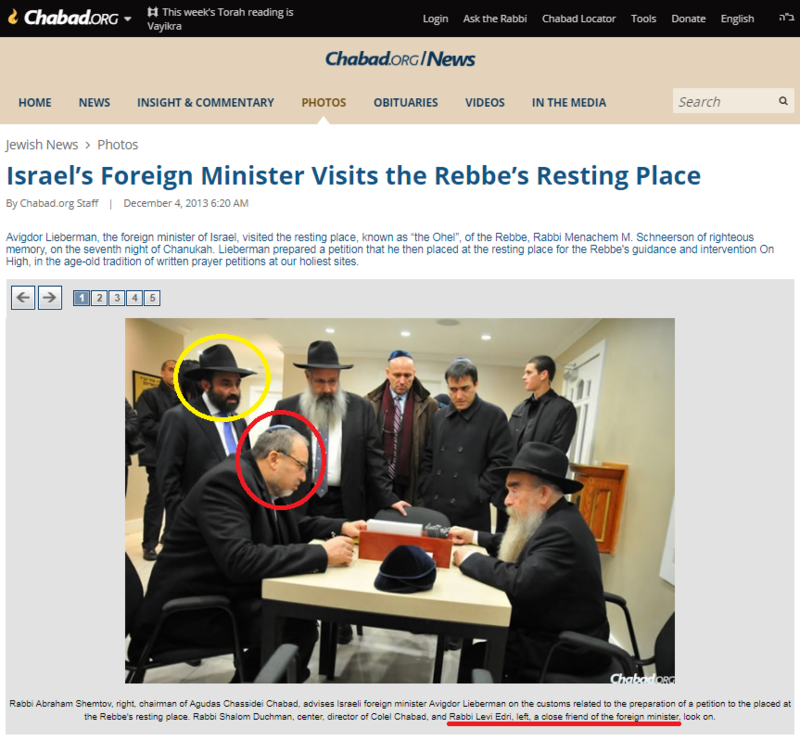 On a final note, there are rumors on the Net that Chabad is actually a front for the Mossad. It makes a lot of sense that this is so, and Lieberman’s rise to Defense Minister pretty much confirms it. Do you think the Mossad would allow someone who has ties to a dangerous cult to control the Israeli military if the cult wasn’t part of the Establishment? Not a chance in Isra-hell. 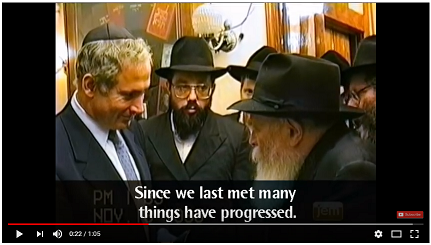 >>> The [Lubavitcher] Rebbe‘s unknown ties to the head of the Mossad and their assistance to Chabad’s educational and outreach activities in the Former Soviet Union were mapped out in the Hebrew book “The Rebbe and the Mossad,” published in 1998. I’d encountered internet rumors of Chabad’s connection to the Mossad before, but to see it spelled out by the Chabadniks themselves pretty much closes the case for anyone who can put two and two together. 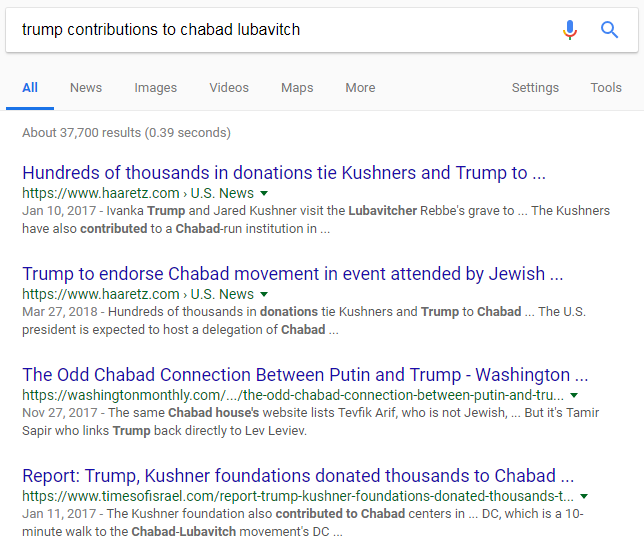 If you are new to this site, you might consider reading Trump and Putin: Agents of Chabad-Lubavitch (+ Trump and Putin’s Lubavitch-assigned roles) to see why this is significant. Question 1: What is the most valuable target to strike? “The base houses the forward headquarters of the US Air Force Central Command, Combined Air and Space Operations Center and the 379th Air Expedition Wing. The Combined Air and Space Operations Center (CAOC) oversees US military air power in Afghanistan, Syria, Iraq and 18 other nations, according to the Air Force. Question 2: If your enemy is expecting a high-flying ballistic missile threat from his front, what do you actually hit him with? By answering these two simple questions, you are given the target of the attack, the weapon to be used, and the launching point. 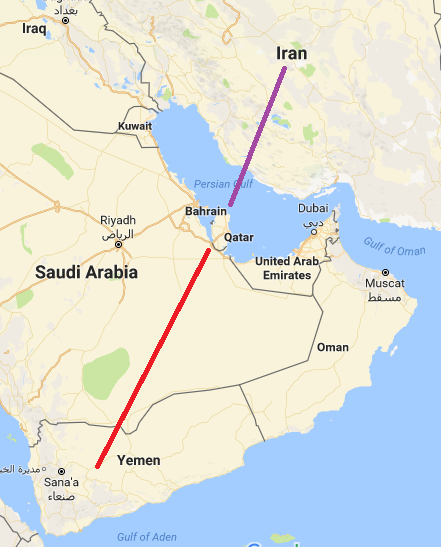 So this false-flag scenario would allow the Saudis to finally hit the Qataris (Qatari forces are also stationed at Al Udeid), and it would drive a wedge between Qatar and Iran (since Iran will be blamed for the strike). 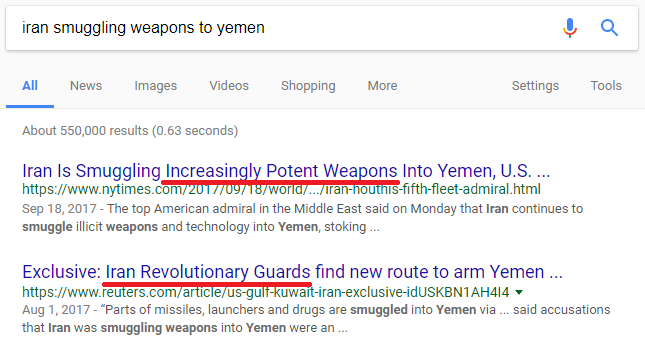 According to the bullsh*t geopolitical script (which exists to cover the actual globalist script), this attack would be a big, satisfying win for the Saudis. So it will be easy to sell the public on the idea that Iran smuggled some cruise missiles in (which they probably haven’t). Cruise missiles are considerably smaller than ballistic missiles, and they require no big, specialized equipment to transport or launch them (a 40-foot cargo container and an improvised railing system will do). This makes them ideal for the purposes of this false-flag. 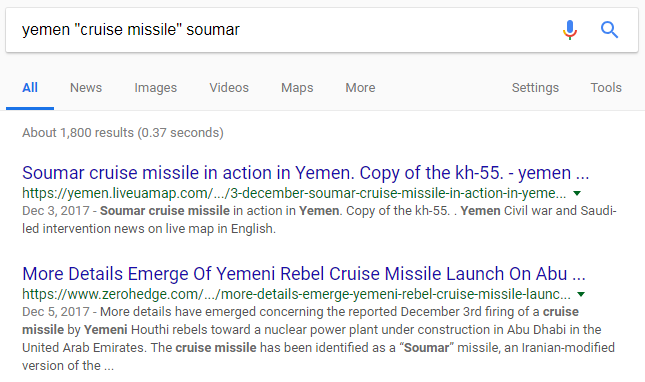 These news stories served to establish that the Houthis supposedly have a large number of Soumar cruise missiles, thus giving them the MEANS to sneak-attack Al Udeid AB. And since there are now rumors that America has moved / is moving their Combined Air Operations Center from Al Udeid AB to Prince Sultan Air Base in Saudi Arabia, it too has become a target. …from Jerusalem Online. This adds Israel to the list of cruise missile targets as well. If the Israelis start gunning down Gazans during Trump’s Jerusalem visit, it won’t be surprising if cruise missiles make an appearance too. >>> A senior Iranian official said Major General Qassem Soleimani, commander of the Qods Force – the external arm of the Islamic Revolutionary Guard Corps – met top IRGC officials in Tehran last month to look at ways to “empower” the Houthis. 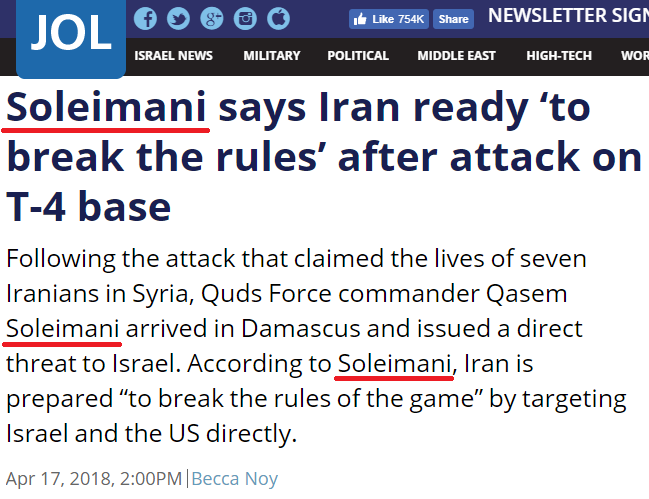 So the Israeli strike on the T-4 base in which 7 Iranians were killed was just the latest step towards their inevitable strike on Soleimani, which is scripted to outrage the Iranians into launching a direct war on Israel. 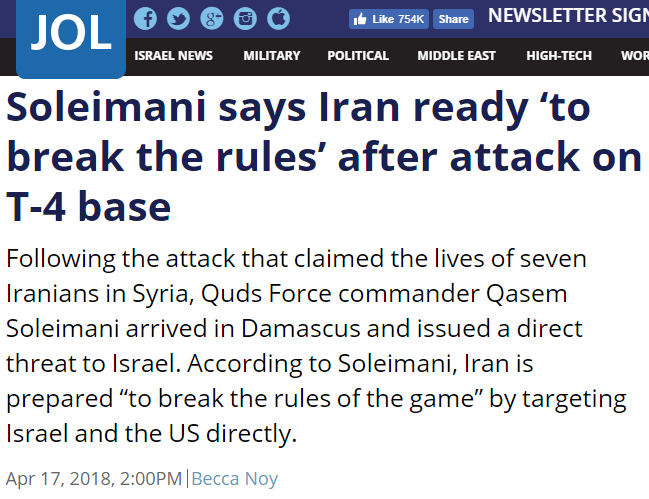 But since the attack will be simulated, not real, Soleimani will remain alive to “miraculously recover from his wounds” or be “resurrected by God,” thus establishing his bona fides as the “real Imam Mahdi.” Although Iran and Israel are portrayed as enemies in the globalists’ geopolitical play, both Netanyahu and Khamenei get their scripts from the same masters. Note (night of April 13/14): There are two things worth noting about the Syria strike tonight: 1) “Trump delayed it, minimized it, and warned Russia about it before it happened,” and 2) it could set off economic sanctions against the US, including the possible cut-off of Russian titanium and Chinese rare-earth minerals. In light of that last part, I find the timing of this announcement very interesting. [Update 15 – 9-13 April 2018] – So will it be War or “Mass Arrests”? 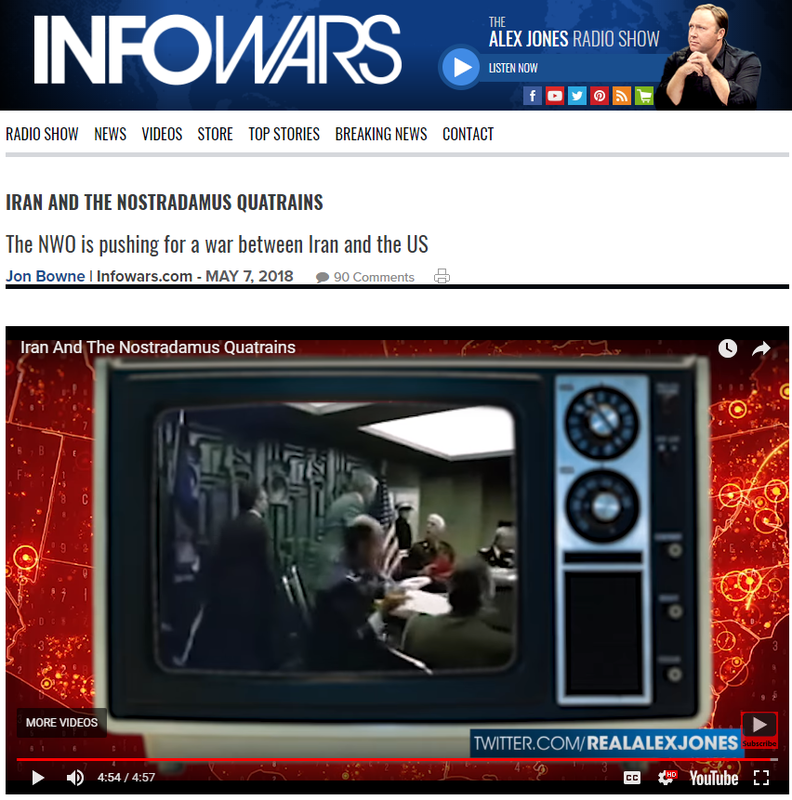 We may be 24-48 hours away from finding out if the globalists have opted for the War Path or Peace Path. If it is to be the latter, watch for reports of military convoys in the Washington, D.C. area in the coming hours/days. 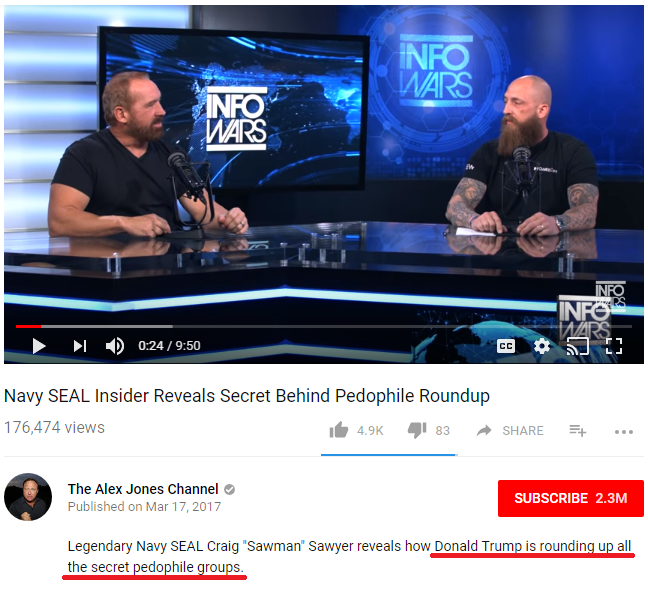 This would be a preparatory step for the “Mass Arrests of the Evil Deep State” Psyop. I found the wording of Trump’s statements quite curious – as if they were designed to have two possible meanings. 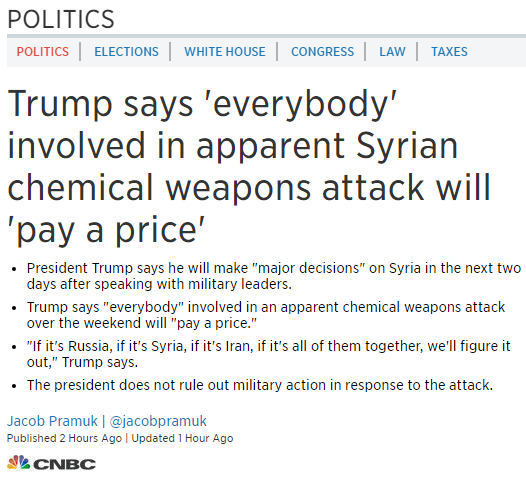 Note that Trump didn’t say “Russia, Syria and Iran will pay a price,” he said “everyone [involved in the chemical attack] is going to pay a price.” So if the script calls for him to decide that the Neocon-Neolib-Zionist Deep State is involved, they will be the ones paying the price. Speaking of nuclear torpedoes, I’ve done some checking and found that they’ve been laying down preparatory propaganda for such an attack. Of course, a “Russian” nuclear strike against Washington and New York would be a massive overreaction to a US strike on Syria, even if the US strike kills Assad. But according to the script, it won’t be the Russians who do it; it will be the “evil Deep State.” And the well-publicized Russian threats of retaliation will provide the perfect cover for such a false-flag attack. The move, which would catch the US by total surprise and catch the US government above ground, is scripted to allow the “Deep State” to put their man Pence into the presidency and lock down the US under dictatorial “emergency measures,” thus completing the police state they started building after the first 9/11 false-flag. With this in mind, watch for a possible US cruise missile strike on Syria launched from an Ohio-class guided missile submarine (each one carries 154 cruise missiles). Such a move would get the whole “death from below” ball rolling. > Trump is deliberately creating the impression that he is falling under globalist influence in order to draw them into inadvertently helping him. > The Syria strike, to which Russia was forewarned by Trump, was done to create the impression that the US will confront Russia in Syria, so as the “Neocon-Neolib Deep State” enthusiastically helps Trump stack Syria with US troops, Russia and Iran will do so as well. Now if you think about the nations the press say are lining up to attack Syria this week, the US, UK, and France, those are the same three nations that are squaring off against Erdogan in Manbij. The Saudis have also been mentioned as possibly joining in, and the new Saudi leader has been at odds with Erdogan. IF THIS IS THE WEEK/MONTH WE SEE “MASS ARRESTS,” DON’T BE SURPRISED IF THE COMING AIR RAIDS TARGET TURKISH FORCES IN SYRIA INSTEAD OF SYRIAN FORCES. It is important to remember that events we’re watching unfold right now aren’t what they seem to be. There is no real conflict between the Eastern and Western members of the nascent New World Order, the G20; there is only the illusion of conflict being staged for public consumption as the G20 moves the human herd into their next pen: the multilateral / multipolar “reformed” UN / NWO. And come to think of it, an unexpected nuke strike on Washington while Congress is in town would be a good way for the globalists to “drain the swamp” of federal officialdom. It would save them all the trouble of mass-arresting them for pedophilia / corruption / racketeering / treason, and it would keep their mouths shut (because the bodies to which those mouths are attached would be dead). Look for Mike Pence, Rand Paul, and Elizabeth Warren to survive any such strike; they have roles to play in what happens afterwards. …from U.S. News / AP. Watch Tulsi Gabbard too. 5) All we have to do now is watch Rand Paul, the designated leader of the new, post-Crisis “Republican” party. If he makes an excuse to be out of downtown Washington for some or all of Friday, we’ll know that the nuclear strike is just a “go” order away. If you live or work in downtown DC and you see Rand Paul slipping out, you’d better beat feet out of town too. The same goes if you’re in Manhattan. Since the nuclear attack would be attributed to a stealthy Russian nuclear torpedo deployed from an undetected Russian submarine, it would catch Congress, the federal bureaucracy, and (supposedly) Trump unaware and above ground. The entire government would be wiped out. But rest assured that Trump will be in a safe place when the explosion occurs; he has a role to play later on in the drama. As for the other target, New York City, the “Deep State-owned” mainstream media would narrate that Russia destroyed it to hobble the American economy. “By hitting America’s twin towers, Washington and New York, the Russians crippled both the US government and the US economy in a single day,” they’ll say. But after Putin steps up later to save the world, we’ll hear another story entirely: that the “evil Deep State” hit the two cities to put the country into a severe emergency situation that would permit them to take absolute control. to get rid of the old UN and make way for the “new” UN / NWO. The mural actually depicts the Security Council Chamber itself. Look at the color of the wall depicted in the mural, then look at the color of the Security Council Chamber wall surrounding the mural. (It’s the same.) 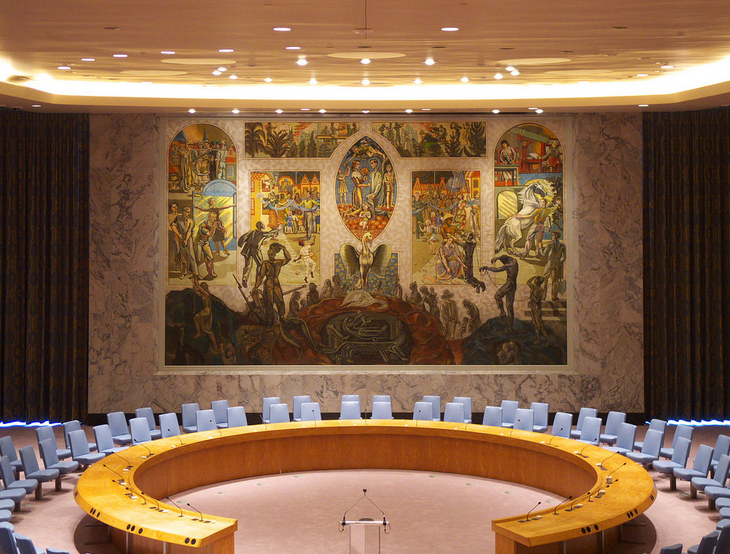 Also look at the shape and color of the object on which the phoenix is standing in the mural, then look at the semi-circular desk at which the Security Council members sit. You’ll see that the phoenix is actually standing on its ashes which lie on the desk of the Security Council. But in the mural, the desk has a disfigured appearance, as if it’s been melted, and the ashes of the old phoenix lie on the burnt table. Are you beginning to see how all this is fitting together – and how it would impact both Washington and Syria? If not, don’t fret; I have more to add after lunch. By the time I’m done, it will be crystal-clear. …from YouTube. Note the date of the post: it was on a 322. In that last video, LISTEN TO THE INTRODUCTION. He is introduced as “Quentin Carter, A.K.A. Q.” Q as in “Q-Anon”? 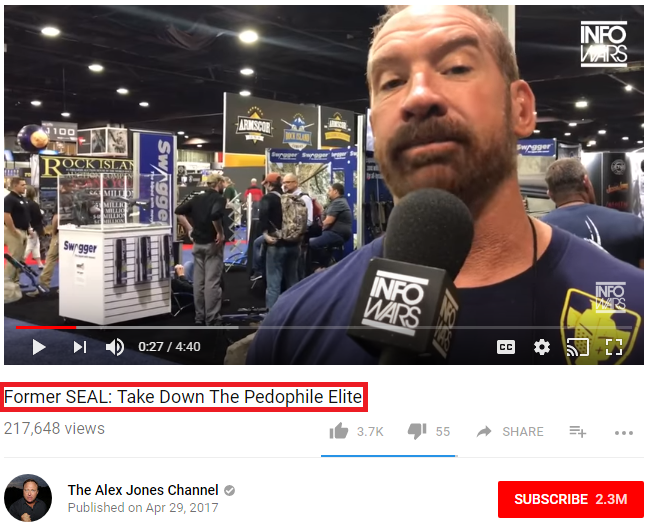 It may be one of Alex Jones and Erik Prince’s own men who has been jerking around all those suckers on the message boards. 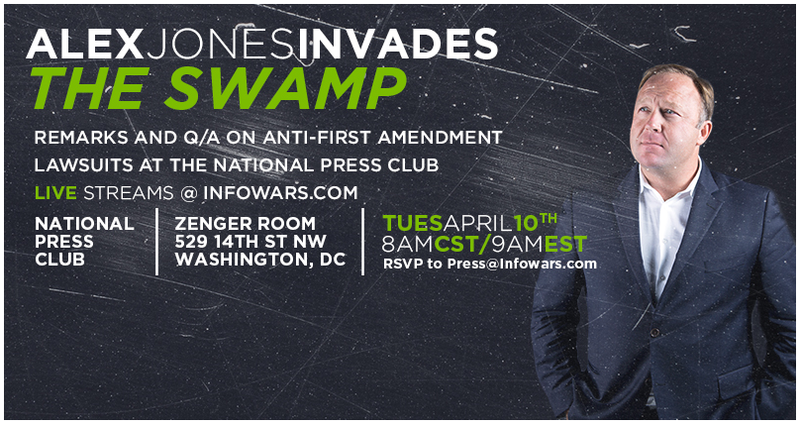 Now if we start looking at some articles on Infowars, we see where all this is headed. >>> When Donald Trump gets hit, he always hits back even harder. So just as King Philip IV arrested the “Deep State” of his day on Friday the 13th, President Trump will do so with the “Deep State” of his day, or so the Freemasons would like to play it. With their plans now openly exposed, we’ll see if the globalists have the huevos to follow through. If they don’t, they’ll make an excuse about delaying the Syria strike for an international investigation of the chemical attack or for the arrival of the Truman strike group off Syria, and they’ll reschedule for the 22nd. But by the 22nd, their plans will be ripped to shreds. 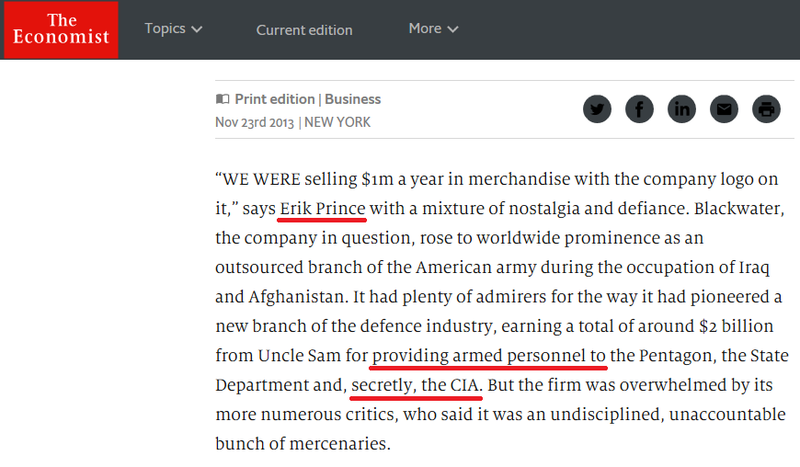 Do your really believe Erik Prince – a man who ran a mercenary company that helped the globalists subdue Iraq and Afghanistan – has turned against his former masters (without being killed for his betrayal)? Or has he simply been contracted to play a new role for them? Ken’s First Rule for Not Being a Sucker: When a “former” insider comes forth to offer you information and interpretation, don’t discount the likelihood that the former insider is a current insider tasked with misleading you. This would seem to be a rather commonsense rule, but for some reason it is ignored when “insiders” bend our ears to tell us supposed secrets and give us a heads-up on “what’s really going on” and what it means. The alternative media is chock full of talking heads who are purported “former” insiders at the FBI, CIA, NSA, World Bank, Treasury, Wall Street, and so on. There are even some purported current insiders who go through the rube-impressing pretense of disguising their voices and using code names. And what are virtually all of these guys telling us? They tell us how bad are the US and the West while either ignoring or promoting China and the East. In other words, they are establishing the Bad Cop and the Good Cop so the globalists can run their governance reform scam. 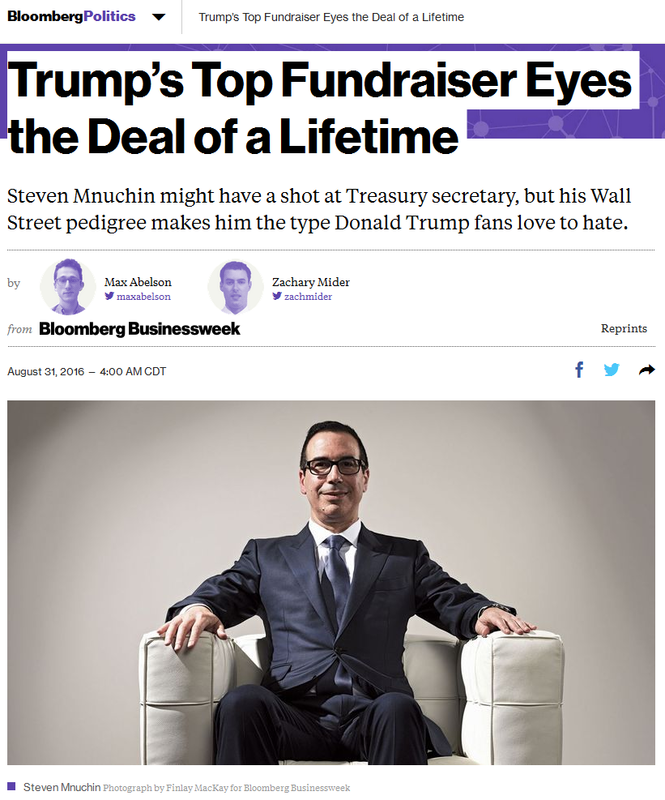 > He is a former Assistant Secretary of the Treasury for Economic Policy. > He is a former editor at the Wall Street Journal. > He was the “first occupant of the William E. Simon Chair for Economic Policy at the Center for Strategic and International Studies [CSIS], then part of Georgetown University.” It’s worth noting that Georgetown is a Jesuit institution, and the Board of Trustees of CSIS includes Henry Kissinger, Zbigniew Brzezinski, and representatives of Exxon Mobil, Boeing, Coca Cola, AIG, GlaxoSmithKline, and Morgan Stanley (to name a few). The whole “white hat” rebellion against the “Deep State” is a load of bullsh*t being sold to the awakening public BY A BUNCH OF SPOOKS, MERCENARIES, GLOBALIST MINIONS, AND PROPAGANDISTS. And TRUMP IS NOTHING MORE THAN A FLAMBOYANT REALITY TV STAR WHO HAS BEEN CAST TO PLAY A ROLE ON THE PUBLIC STAGE. If you want to see positive change in this world, stop looking to the saviors the globalists are selling you and start looking to yourself. With Russia promising to attack any US platform conducting a strike against Syria, the script may call for an Israeli false-flag to get the ball rolling. An Israeli submarine firing submarine-launched cruise missiles from a position near a US warship or submarine could be used to get the war started. 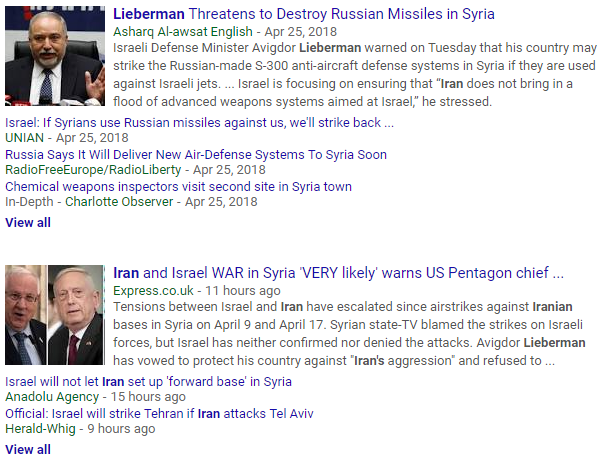 The Russians would supposedly think that the US vessel fired the missiles and retaliate against it, and the payoff for Israel would supposedly be a US intervention that would topple Assad and push the Iranians out of the country. 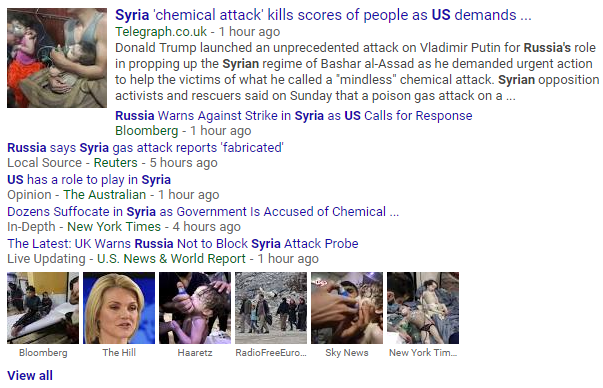 Now that the “evil Deep State” has played the chemical attack card, will America strike soon (perhaps today on Orthodox Easter, on the 11th, on Friday the 13th, or on the 22nd)? Or will they do a UN “investigation” before they strike, thus pushing it into May? Out of an abundance of caution, I’m reactivating this entry. As I’ve explained earlier in this post, this false-flag chemical attack is scripted to justify a US Coalition attack on Syria’s Bashar Assad and Iran’s Qasem Soleimani. According to the conflict script, this attack will push the Iranians over the edge and get direct warfare going between the major powers. According to another Global Times article, there are two massive fleets doing exercises in the same area: a 40-ship Chinese armada which includes one aircraft carrier and a 58-ship US armada which includes three aircraft carriers. P.S. – Meanwhile, in the Mediterranean, Turkey will be sending an oil exploration vessel into Cyprus’ Exclusive Economic Zone as early as Monday. 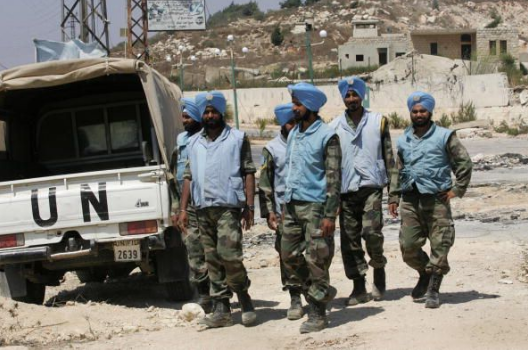 So will the Cyprus navy confront it, or will they go crying to the UN? YOU’LL FIND ADDITIONAL BACKGROUND INFORMATION ON WHAT THE GLOBALISTS ARE UP TO AMIDST THE UPDATES AND SPECIAL NOTES OF THE FIRST GLOBALIST AGENDA WATCH 2018 ENTRY. 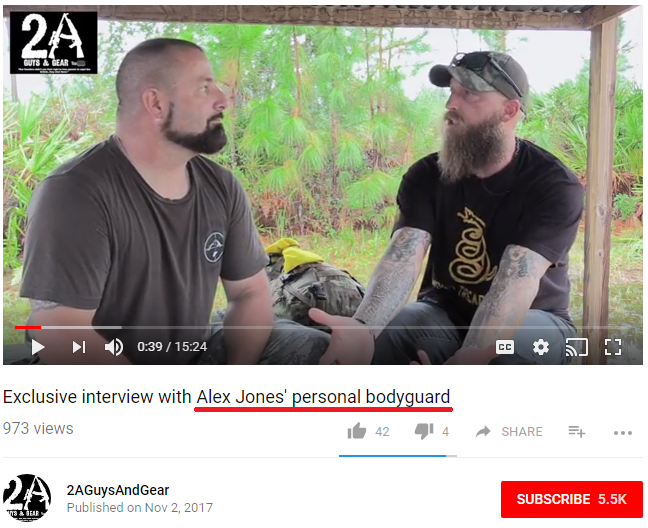 This entry was posted in Globalist Agenda Watch 2018 on April 10, 2018 by kenneth.